Our attention to detail, commitment to quality craftsmanship and design eases what is commonly considered to be an overwhelming process. Baptista is committed to being as friendly to the environment as possible. We're doing a lot at our location to save resources, including solar panels on the roof, 100% water recycling in our slab department, low-wattage LED's throughout the building, an electric forklift, permeable pavers to allow for waste water runoff and drainage, and filtered drinking water (no bottles). 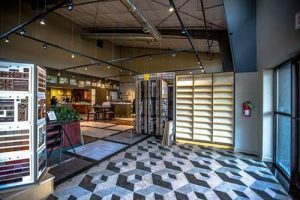 Our newly-renovated tile and slab showroom is the perfect place to find project inspiration. 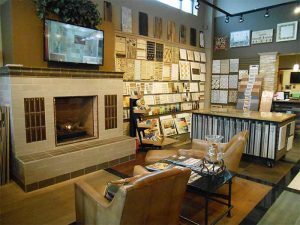 Browse our gallery style displays, get insight from our designers, and enjoy our cozy fireplace! Exciting news…we are now stocking slabs and have various remnants to suit smaller projects. 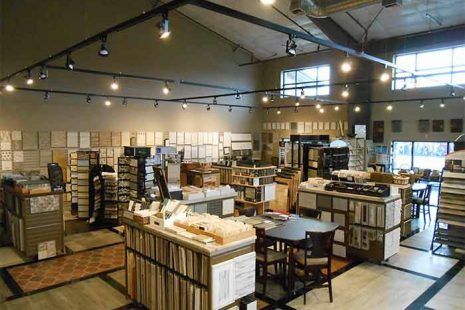 We carry handmade tile, porcelain, natural stone, engineered quartz slabs, hardwood and carpet. Come visit and get inspired! We’re ready to turn your dream into a reality. Good design is not an abstract concept, but a combination of great communication, thorough planning and a close working relationship between designers and clients. Our design and layout services are complementary with your purchase of tile and/or tile installation, and slab fabrication and installation. In addition to our complementary services, our knowledgeable and experienced designers are also available to assist you with the following selections at an hourly rate; interior and exterior paint, lighting, plumbing, cabinetry, window finishes, exterior stone, roofing, or anything you need to complete your project. 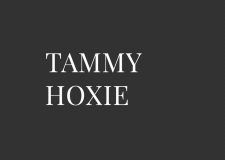 Tammy Hoxie has been in the tile industry, primarily in sales and design, for twenty years. She has been involved in many aspects from product line selection and importing, to showroom design and designing for clients. Tammy’s compassion, listening skills and experience help guide her to the client’s needs, which results in finding a great fit for the surface that would meet the needs of their lifestyle, aesthetic and budget. 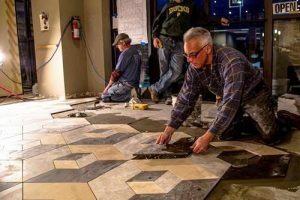 The breadth of Tammy’s experience in the industry gives her a specifically unique knowledge of tile and is sought out on many occasions to help solve tile related concerns. Tammy is a people person and loves to get to know her clients; many homeowners and builders are now personal friends. Jenn Adams has worked in the tile industry for over nine years. With a Fine Art degree in Printmaking and a love of mathematics and ceramics, the design world is a perfect fit. She enjoys creating textures and using color to express the style of the house and the personalities of the home owners. She is filled with a true desire to help clients fall in love with their spaces. Jenn’s ability to listen to people’s needs and apply the technical information necessary to have a successful project helps her make the sometimes daunting tile selection process fun. Barbara Kramer has a diverse background in the construction industry. The design bug bit while building her own custom home here in Bend. After this experience, she worked for several builders assisting home owners and designers with material and finish selections. 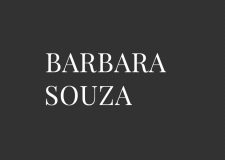 This prompted Barbara to branch out as a freelance Interior Designer. Extremely passionate about the building industry in Bend, Barbara continues to specialize in North Western designs fitting Central Oregon’s casual yet sophisticated design aesthetic. Barb is a wealth of knowledge on both Commercial and Residential design and loves working with builders, as a liaison to their clients. Dawn Schafer is a southern transplant who has lived in Bend since 2002. She got her degree from University of Oregon in cultures and sociology. She has worked in a variety of small businesses and really enjoys welcoming people into the showroom and getting their projects started. 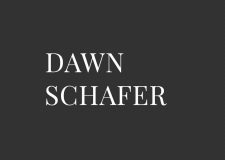 Dawn appreciates the relationships she develops working with the builders and clients that come into Baptista Tile and offers flexible and practical help in keeping their jobs organized and moving forward. 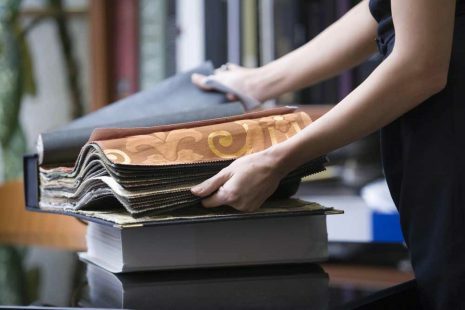 Her main job is to collaborate with design staff, clients, and installation professionals to make sure that materials are available when they are needed on the job. She enjoys the active lifestyle and cultural opportunities in Bend. When Dawn has free time, she goes on adventures in the outdoors with her dogs and family. She is a supporter of the Central Oregon Symphony and is a student of Tribal style belly dance. 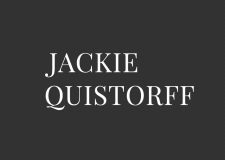 With over 18 years of business and banking background, Jackie Quistorff is a well-seasoned professional who has brought a high level of due diligence and a great focus on efficiency in her role as Bookkeeper of Baptista Tile Company. Her responsibilities range from Accounts Receivable, Accounts Payable, Inventory management and general Human Resource duties to name a few. Jackie received her Bachelors of Arts in Business Administration with a focus in Accounting from the University of Washington and upon graduation, immediately went to work for a mortgage company overseeing upwards of 30 offices around the Pacific Northwest. Her family has since moved from the Seattle area to Central Oregon and she has now been with Baptista Tile since 2013. In addition to her roles as Bookkeeper, Jackie also volunteers at her Church and is co-leader of her daughter’s Girl Scout Troop here in Bend, Oregon. 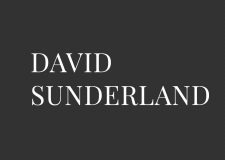 David Sunderland joined the Baptista Tile team in 2001. He is familiar with many different installation techniques and is a great on site problem solver. David coordinates our tile installation team and is in charge of our schedule. Typically, David is the one who will be doing the on-site measurements for your project and figure quantities for our designers. He can be reached at david@baptistatile.com or you can schedule your measure request through our showroom at (541)382-9130. James has been in the stone fabrication business since 2001. 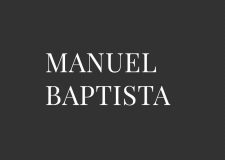 What started as an apprenticeship after high school has evolved into the shop foreman role here at Baptista Tile since 2014. 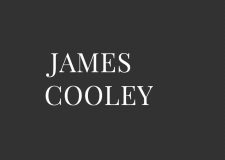 James is versed in all aspects of stone fabrication and is continually being trained and certified as new materials have been brought to the market. As the tools needed for fabrication are loud, information that needs to get to James is best filtered through our showroom at (541)382-9130 or he can be reached by email at james@baptistatile.com. Tamra Starner joined Baptista last May 2017, she brings 20 years of experience as a designer in new construction and remodeling to our team of designers. Originally from Ohio she earned a Bachelor’s Degree of Illustration & Design from the Columbus College of Art & Design. She has experience with children’s books and educational illustrations, graphic design, art direction, and design. As a co-owner of Quail Ridge Homes she did all the design work. They built high end custom homes in the town of Lake Oswego and vacation homes in Crosswater. Her experience includes spec and custom homes, remodeling, and creating design packages for Legend Homes duplexes at Auburn Hills. 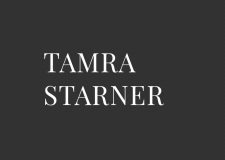 Tamra’s intention with every new client is to listen, interpret their ideas, and provide a pleasant experience enhanced with her knowledge of design, color expertise, texture, shape, and lighting. Many clients feel overwhelmed by the decisions when they walk into our showroom with so many choices. She tries to get them to relax, have fun, and enjoy the process of selecting materials for their project. The result will reflect her client’s vision and style for their home, complimented by her knowledge of professional design principles that include function, beauty, texture, an awesome color palette, and livability. Casandra Cooley is an Oregon native who enjoys all the beauty of Central Oregon and looks forward to welcoming all customers to Baptista Tile Company. She joins our team with over 15 years of sales managing, marketing and recruiting experience. 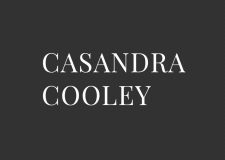 Casandra is responsible for bridging communication between all departments to ensure customer satisfaction throughout the design, template and installation process. She’s responsible for keeping the company safe, respective to Federal and State compliance laws, and also for much of the documentation that’s instrumental for keeping Baptista running smoothly. 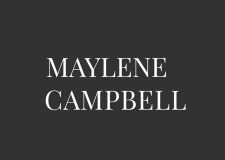 Maylene Campbell has been in the tile industry for over a decade. She has extensive product knowledge, having spent much of her design career to date working directly with contractors and their clients. After taking a year off to focus on family and pursue her illustrating projects, Maylene was ready to get back in the construction field. She joined the Baptista Team in 2017. 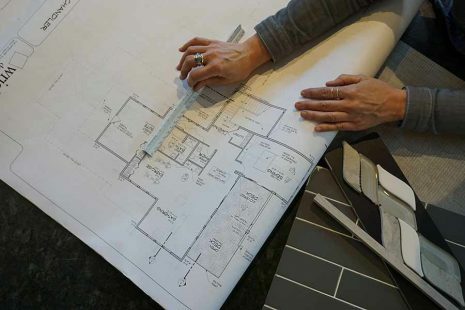 With first-hand knowledge of how stressful any home project can be, Maylene relates to her clients on a personal level, and helps to ease the stress of making final selections. She is a born artist, with a specialty in color coordination. Her positive attitude is contagious, making the selection process fun! 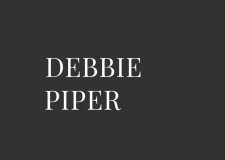 With a previous background of human resources for major corporations, Debbie re-invented herself and began working in interior design in Central Oregon in 1990. She has had the good fortune of working in all aspects of the industry—from window coverings and furniture to construction of custom homes. Designing primarily with floor coverings, including tile and stone, since 1996, she initially joined the Baptista team in 2010. She now oversees our carpet, hardwood and alternative flooring showroom to complement client’s tile and solid surface materials. Her design beliefs, commitment to the client’s dream, and organizational skills provide her the opportunity to assist clients to create the perfect backdrop for their residential or commercial projects. Debbie can be contacted at debbie@baptistatile.com.